Heels Above stylishly protect and stabilize your high heeled shoes, keeping you above surfaces like grass, grates and cracks that can damage your shoes and slow you down. Ideal for outdoor weddings, special events and everyday life, Heels Above is a small flexible piece of recyclable plastic that attaches easily to your high heel shoes, and are simple to slip on and off. Available in two different sizes that fit most heels, the grip fits snugly around each heel without damaging the shoe or detracting from the style of the stiletto. Heels Above keep you from sinking into grass and from getting stuck in sidewalk cracks by increasing the bottom surface of the heel. Each individual package of Heels Above comes with two different sizes of the product and a fashionable pouch to carry them around in your purse. There's no reason why every woman shouldn't have a pair of Heels Above on them at all times! Susie is an expert in fashion. She has been in the fashion industry for over 25 years. Susie started out designing ladies accessories and her own beaded hair accessory line. With the success of those lines she started designing other accessories such as costume jewelry, hats, belts, sunglasses and shoes. She has traveled all over the U.S. doing trade shows such as Hair, Nail & Beauty Accessory and Gift Shows. Her products were sold nationwide to various boutiques, and retail shops. 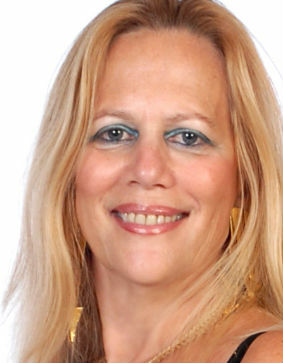 Susie also owns one of the most successful boutiques in the Turks and Caicos Islands. Her expertise in knowing her customers needs, wanting to be dressed to the 9's, and saving her heels from sinking or being damaged, at outdoor events and special parties, has helped in developing Heels Above. Together with her fashionista daughter Nicole, they have come up with a "smart solution to a silly problem!" Nicole is a seasoned entertainment television producer, with over ten years of experience in cable and reality television production. Nicole's most recent stint was as a senior producer on E! Network's #1 reality series, "The Girls Next Door" where she integrated some of Los Angeles's trendiest boutiques, restaurants and brands into the show. Nicole's love of television, pop culture, music and fashion helps her keep her finger on the pulse of up-and-coming trends, having worked with celebrity stylists, costume designers and performers in the entertainment industry for over a decade. Nicole's love of fashion started at a very early age after being exposed to the fashion business by working alongside her mom at jewelry and accessory shows across the country, and all of her professional endeavors have kept her at the forefront of current trends and celebrity style . After taking ONE too many steps into grass in high heels, Nicole & Susie have joined forces to create Sydni Star, which distributes the ONE accessory that every woman has wished they had for years... Heels Above.